Posts related to learning to play the flute, flute instruction and private flute lessons. What’s the right age for kids to start learning a wind instrument? 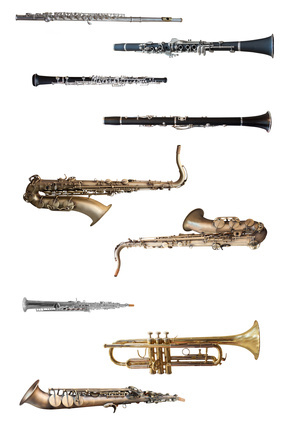 The winds include two families of instruments: Brass and Woodwinds. As indicated by their name, wind instruments require a significant amount of breath to play them. It is recommend that a student be at least 8 years old to start learning a wind instrument (with the exception of recorder) because the student will have a larger lung capacity which will make learning the instrument easier and more enjoyable. For students younger than 8 who would like to learn a wind instrument, the recorder is often the ideal instrument to start with. The recorder is small and requires less breath capacity to play. With recorder lessons, students learn the fundamentals of music, rhythm and note-reading. Since the recorder is also a wind instrument, students learn breathing techniques that would help them transition to learning a brass or woodwind instrument of their choice in the future. The flute is a delicate instrument made of precious metals with many small and fragile key mechanisms. 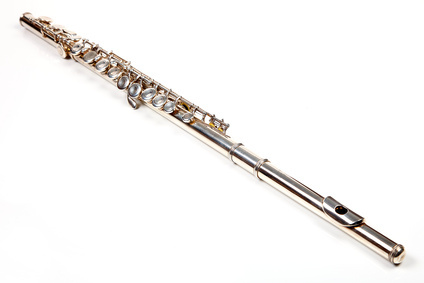 Proper care and maintenance will help keep your flute in good working condition. Special thanks to music educator and flutist Melissa Reichert for sharing these flute care and maintenance tips. Always swab your flute out after playing. As a flute is played, condensation builds up inside the instrument. To prevent the condensation from accumulating on the pads, swab your flute out after every time you play. To polish your flute, use a microfiber cloth. By handling the flute, our fingerprints and oils rub off on the flute’s exterior. To remove these, gently wipe the flute down with a microfiber cloth, sold in most music stores. Do not use household silver polish. Handle your flute with care. Flutes are very delicate instruments made of soft precious metals that scratch, dent and bend easily. Never grip any moving mechanisms of the flute, and take care not to hit a flute against anything such as a music stand. Sticky pads? If you begin hearing a suctioning sound, coming from your pads, you can purchase Pad Paper from most music stores to remove the excess residue that may have accumulated. Avoid tarnish by inserting an anti-tarnish strip. As with many precious metals, flutes will begin to show tarnish over time; by adding an anti-tarnish strip to your flute case you can help keep your flute extra clean for up to 6 months! Never leave your flute in a hot or cold car. Flute pads and mechanisms are very sensitive to extreme changes in temperature. When in doubt, carry it with you. Flutes do require regular maintenance by a professional flute technician. All flutes, new and old, will require a clean, oil and adjust (COA) every 6-12 months from a professional flute technician. By taking good care and maintenance of your flute you will extend the time period in which your flute may need this procedure.